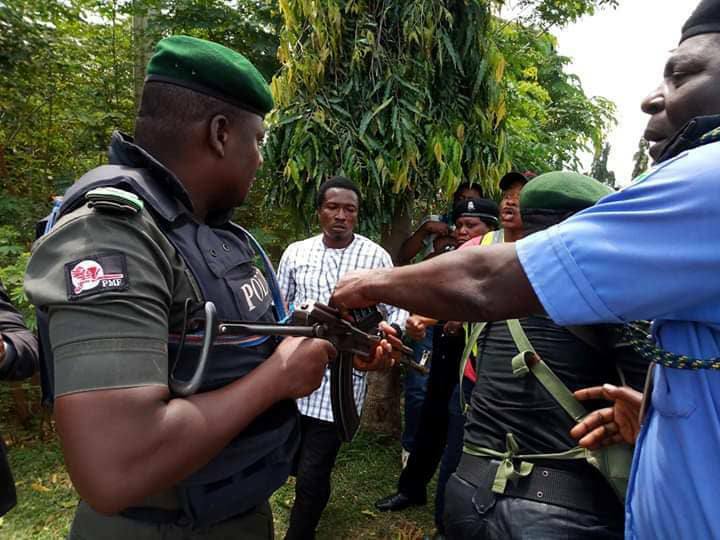 A picture has emerged showing the confrontation between Shiite Muslims and police officers during a recent protest in Abuja. An officer who was among other policemen stationed to monitor the protesters, confronted the protesters and dared to shoot them if they came any closer. The police officer was ‘stopped’ by his colleague who urged him to put down his rifle which was already pointed at the protesters. 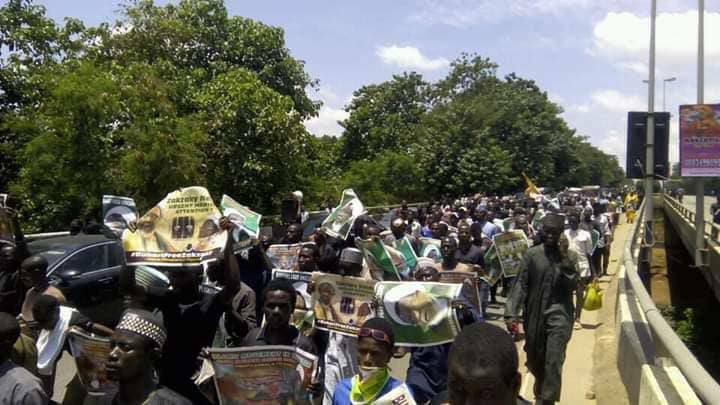 The Shiite Muslims have continued to hold series of protest in Abuja and across Nigeria – demanding the release of their leader, Ibrahim El-Zakzaky, who is currently in the custody of the Nigeria government. Last week Thursday, the Shiite Muslims who locked down the Federal Ministry of Justice during a massive protest.